There’s a chart revolution going on. Just ask Pop Chart Lab, who has diagrammed things from video game controllers to notable hair cuts to rapper names (which I just so happen to own, ’cause I’m a baller). 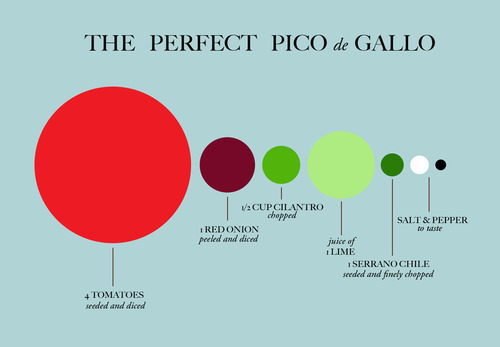 Pop Chart Lab recently released The Splendiferous Array of Culinary Tools chart. Totally up my alley. I’m contemplating buying it as well. Check it. This one is my fave. It’s a chart. It’s a recipe. It’s awesome. Categories: Recipes, Uncategorized | Tags: charts, culinary tools, cupcake, kitchen utensils, pico de gallo, pop chart lab | Permalink.